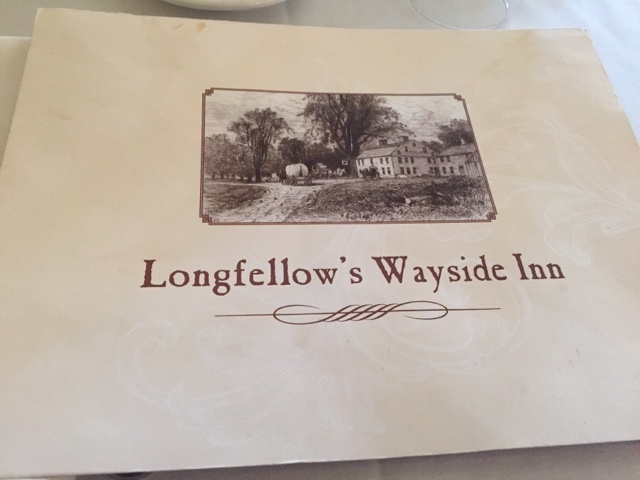 Driving from Massachusetts to Burlington, Vermont can make you hungry. 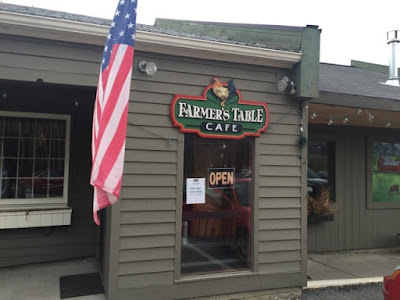 That's how Eat Up NE recently discovered Farmer's Table Café in Grantham, New Hampshire. It has great reviews online and is right off the highway. This place is as cozy as it gets inside. 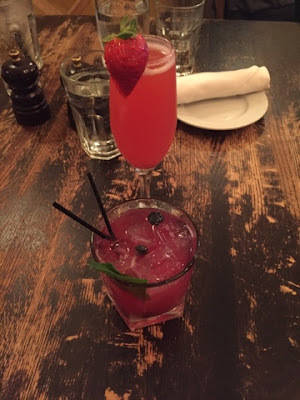 There's a roaring fireplace by the bar, along with large wooden tables and a big wood-fired brick oven for their homemade pizzas. There pizzas are big enough for two people. 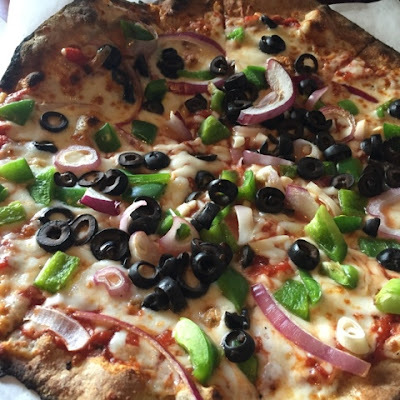 Choose from pesto chicken, buffalo, portabella & onions or make your own pie. 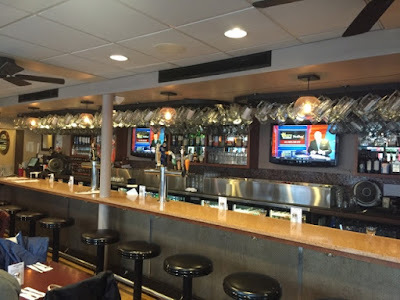 Their menu is full of classic sandwiches like a Tom Turkey Club, tuna salad, BLT, chicken apple wrap and veggie wrap. I enjoyed their ham & cheddar deluxe, which is stuffed with grilled pears and Dijon mustard. There are also several salads on the menu, along with pasta, mac & cheese, burgers and ribs. Farmer's Table is also open for breakfast and offers a large menu with seasonal ingredients from New Hampshire and Vermont. 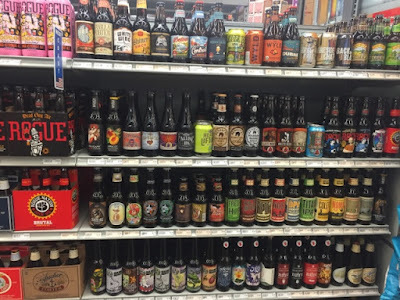 Eat Up New England just stumbled into this package store on steroids in Mansfield, Massachusetts. 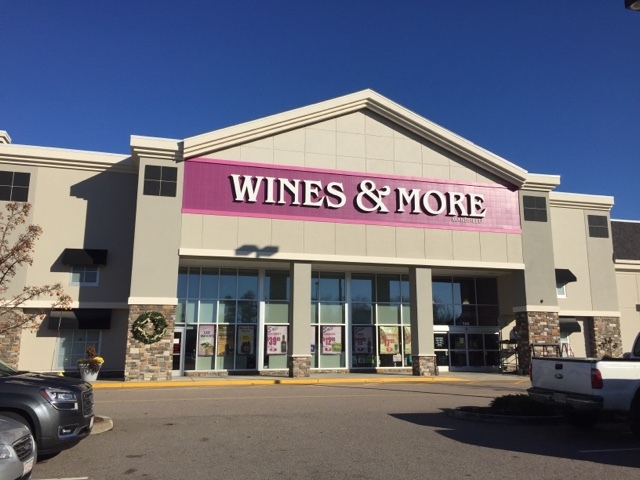 Wines & More is GIGANTIC. 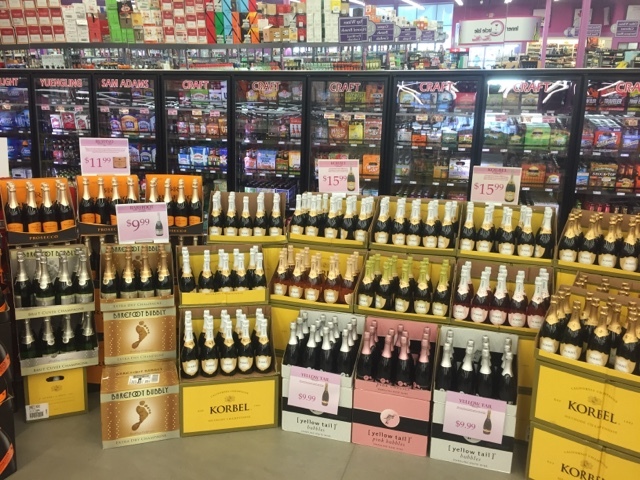 They have every brand of alcoholic beverage that's out there, both local and domestic. 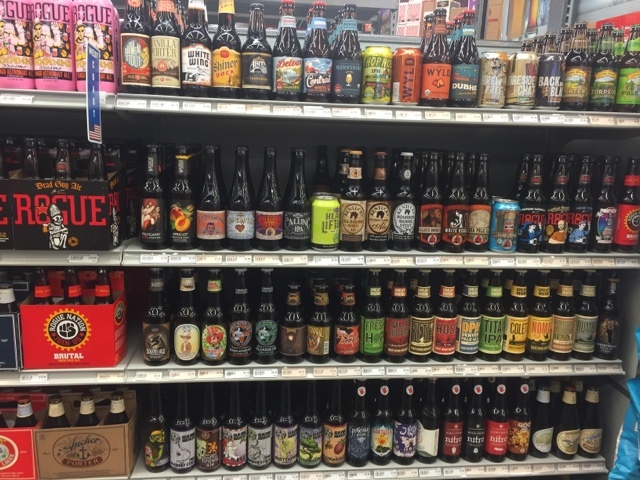 Customers can also make their own six packs with their large selection of bottled beers. 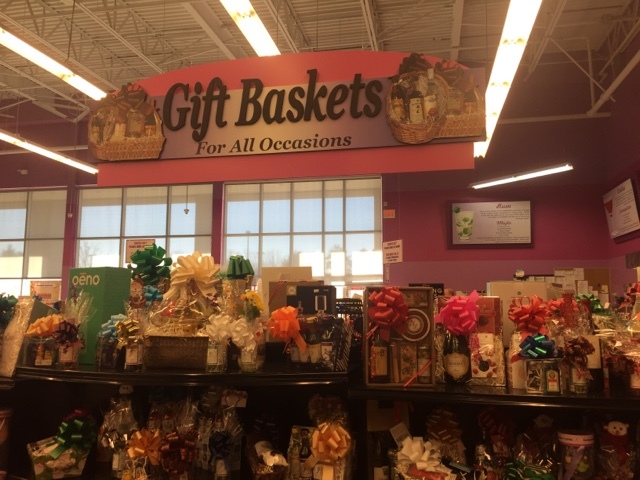 The gift basket section is perfect for Christmas presents. 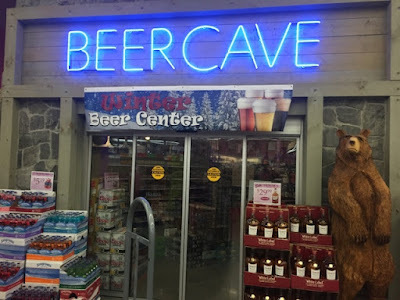 Check out their Beer Cave. 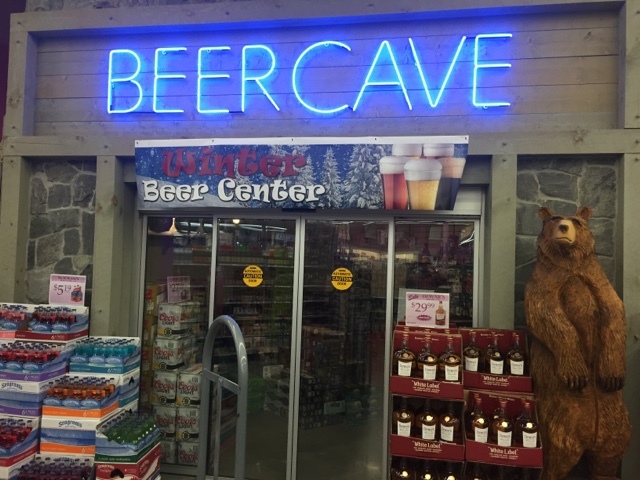 Inside, are cases of ice cold beer. Be careful of the bear guarding the door. 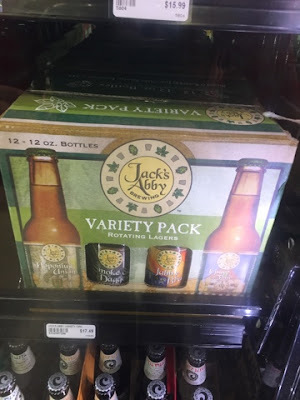 Wines & More sells all the local brands like Jack's Abby out of Framingham, Massachusetts. They even sell huge bottles of one of Eat Up New England's favorite Christmas beers from Anchor Brewing. Wines & More is located at Mansfield Crossing. They also have a selection of cheeses, crackers, dips and candies to complement their wine. 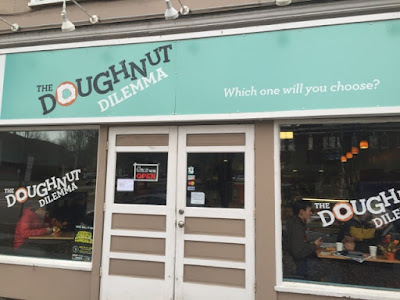 The toughest thing about visiting The Doughnut Dilemma in Burlington,Vermont is having to choose which donut to eat. 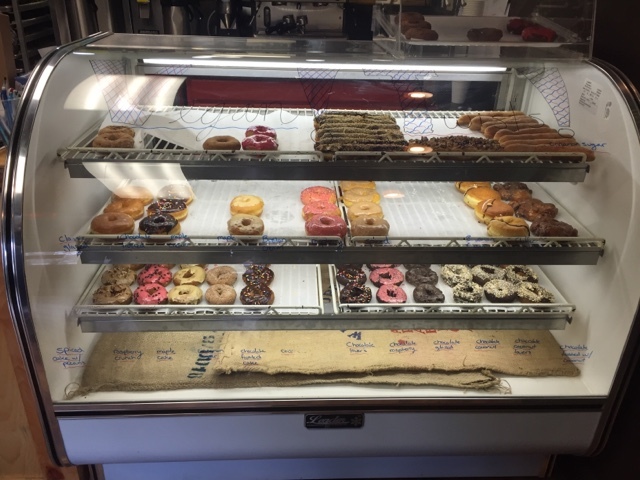 All of their donuts are handmade in house with local ingredients. There are classic donuts like chocolate, jelly and blueberry. They also have some pretty cool concoctions like banana bread, s'mores, and even a Rice Krispie Treat donut. 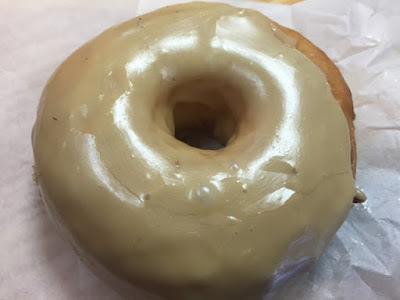 I played it safe and enjoyed one of my favorite donuts, maple frosted. 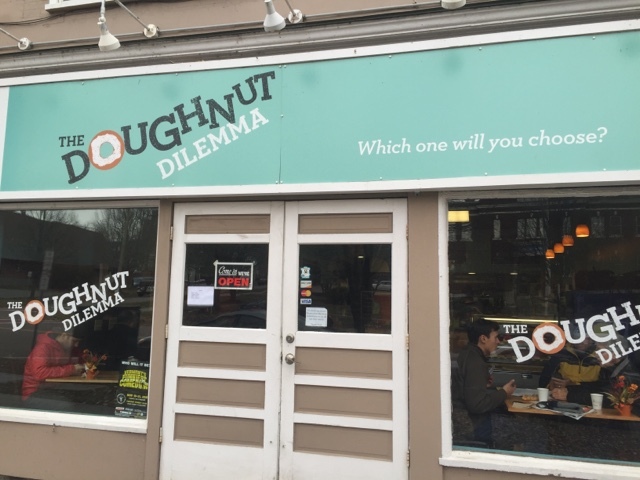 They also have several vegan and gluten-free donuts, along with fritters, coffees and espresso. It's been rainy and cold this week. 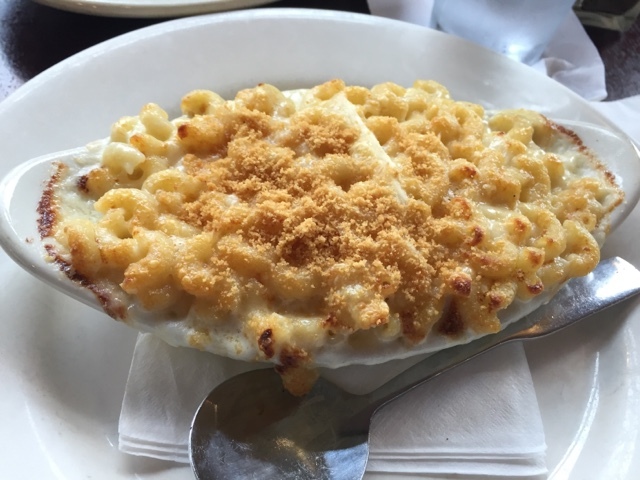 When the weather gets bad, Eat Up New England goes for some comfort food to warm up. Today, my friend Gail introduced me to the Parish Cafe in Boston's South End. Parish has a long list of beers on tap. 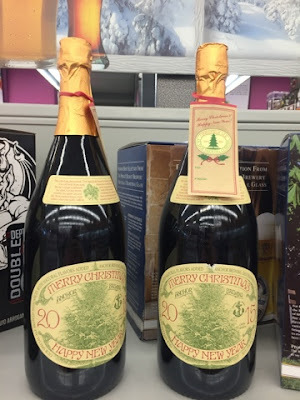 We tried to order a Shipyard Pumpkinhead, but they've already moved on to Shipyard GingerBreadHead, a Christmas season beer that's packed with a tasty gingerbread cookie flavor. It's my new favorite! Apps include an egg quesadilla, hummus platter and a meatball. 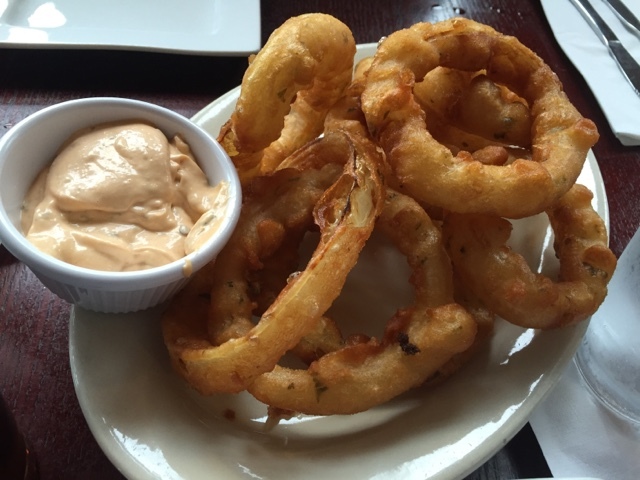 Gail steered us to their "Bowl-O-Rings," deep-fried onion rings with their homemade chipotle aioli sauce. We ordered the half portion and it was plenty for two. The chipotle aioli sauce is killer and makes these an app worth order again and again. 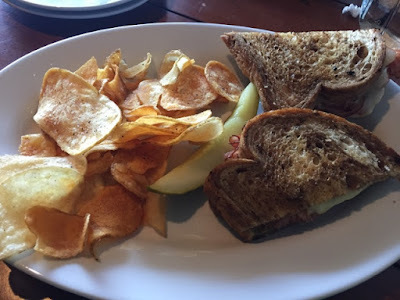 Parish has many unique sandwiches on their menu, created by their chefs and other local chefs. Pictured above is the Bond Herb Roasted Chicken Salad. 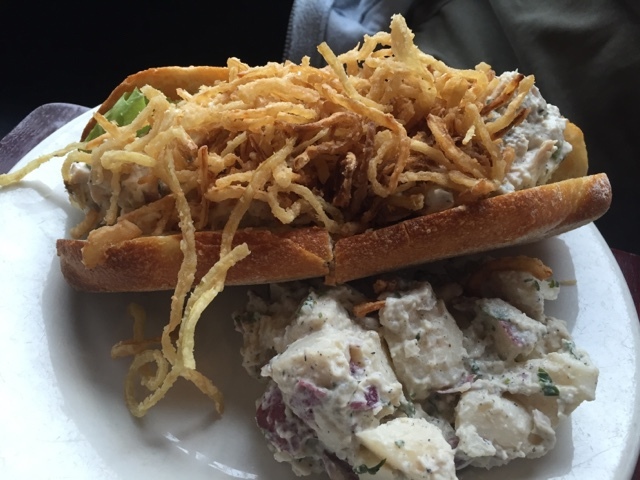 Check out those fried onions on top. Joanne Chang of Flour Bakery has a BLT on the menu called the Flout BLT that's served on Texas toast. There are also a couple of vegetarian sandwiches and salads on the menu. I ordered a half portion of their mac & cheese. It was one of the most delicious mac & cheeses I've ever had. It's buttery. The Ritz crumb topping was on point. The secret seems to be their sauce, made of Romano and Montery jack cheeses and just enough diced white onions. Amazing. They also have a bolognese on the menu, which I'm looking forward to trying. 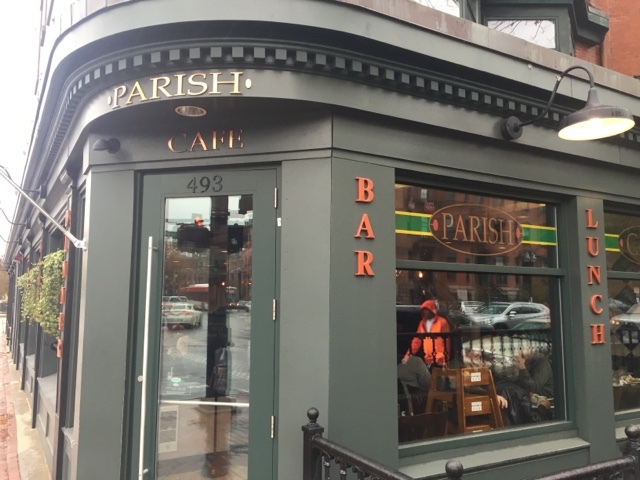 Parish Cafe has two locations in Boston. This one in the South End on Mass Ave. Their other restaurant is on Boylston Street. IT'S RESTAURANT WEEK IN NEWPORT! 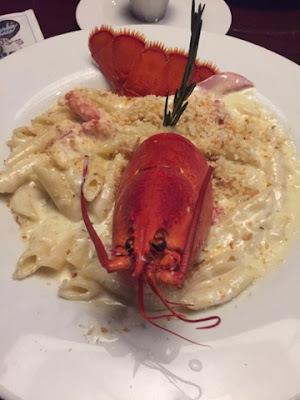 If you're looking for something fun to do this weekend, head down to Newport, Rhode Island where restaurant week is in full swing. Three-course lunches are $16. Three-course dinners are $35. 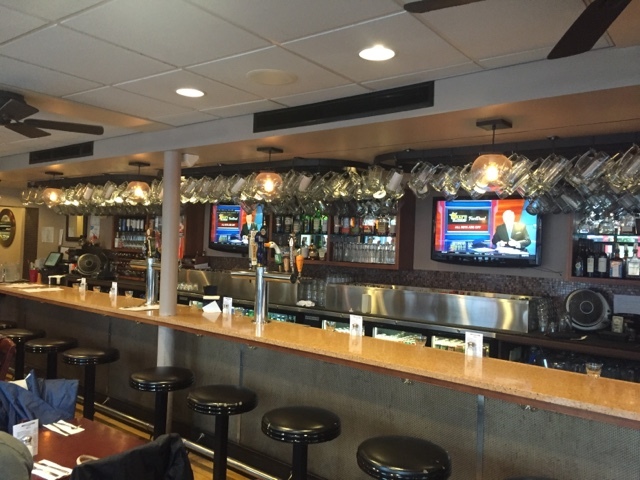 Eat Up New England recommends the Brick Alley Pub, they have a huge menu and a nice salad bar. 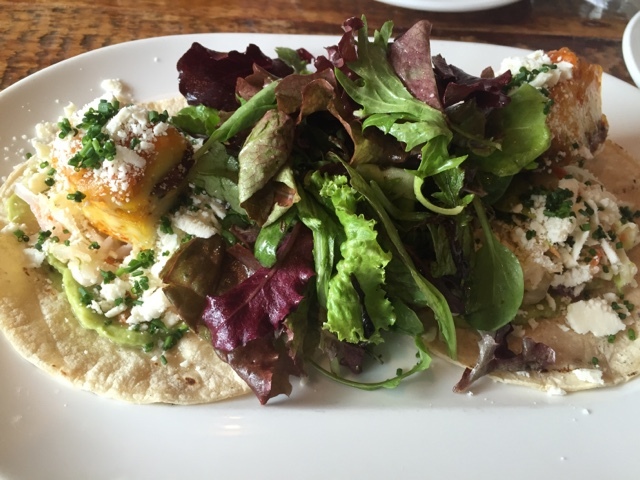 Diegos, One Bellevue, The Mooring, Perro Salado, The Red Parrot are also among some of my favorites offing restaurant week menus. Restaurant week strated today and goes through November 15. 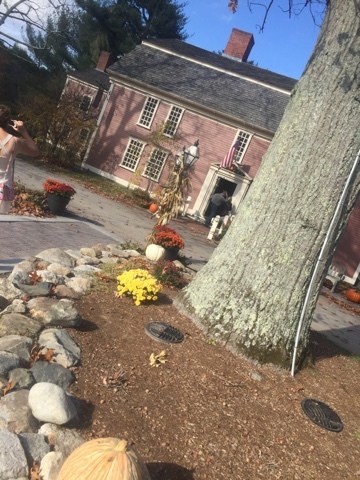 Eat Up New England just discovered a wonderful place for brunch in Newton, Massachusetts called the Farmstead Table. 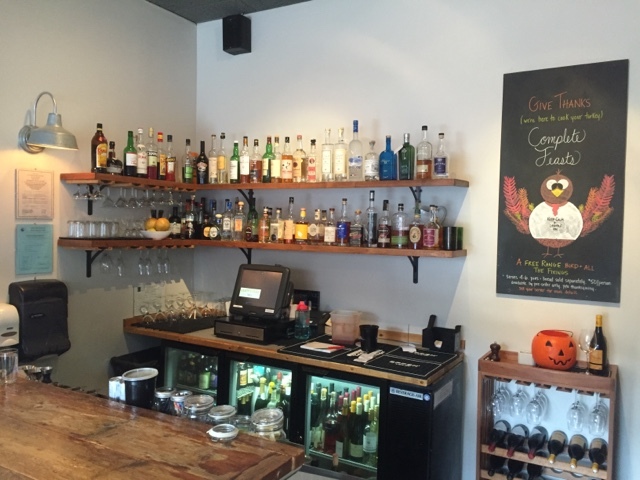 This cozy restaurant specializes in fresh and local foods. Their menu is always changing depending on the season. 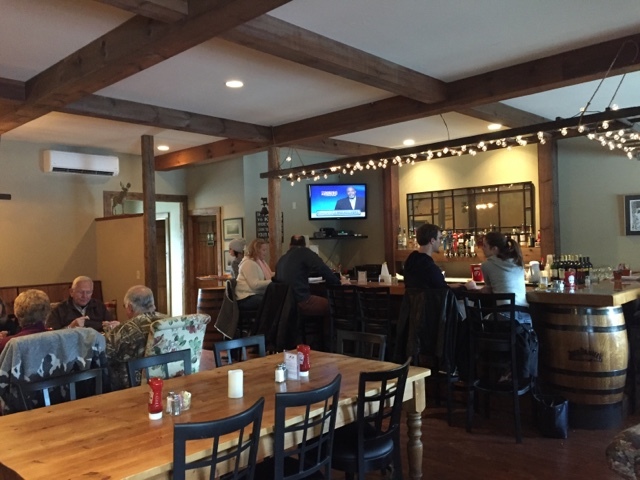 Farmstead offers lunch and dinner daily with brunch on Sundays. Right now, brunch meals include blintzes, quiche, French toast, a beef burger, huevos rancheros and a grilled chicken salad. I ordered the breakfast tacos - two soft open-faced tacos with chorizo, avocado and cheese. They are served with some healthy mixed greens. Drinks include French press coffee, juices, a bunch of teas and several cocktails. I enjoyed their organic peppermint tea. Farmstead's lunch and dinner menu look very tempting. Right now, there's grilled swordfish on the menu, one of my favorites! 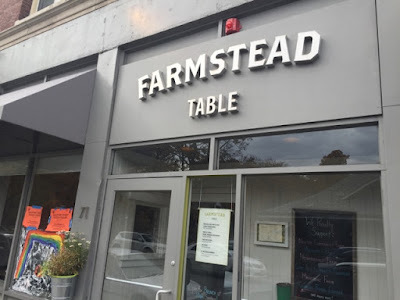 Farmstead Table is located in bust Newton Centre. 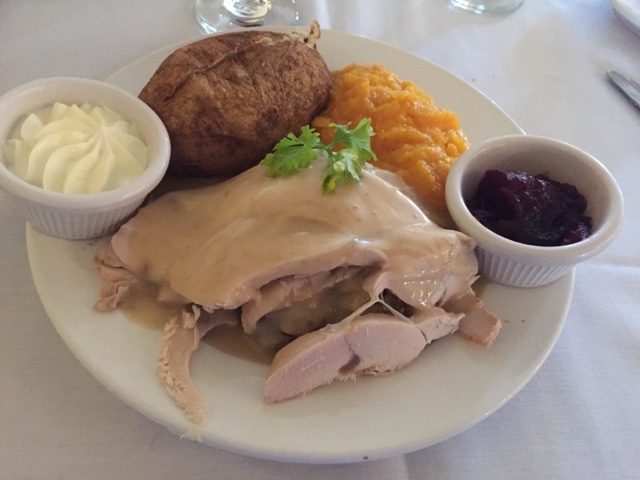 PS, If you're not sure what to do this Thanksgiving, Farmstead will take the pressure off and make a Thanksgiving meal with all of the fixins for you.